Type V Series of Rotary Positive Displacement Gear Pumps incorporate spur gears which have a special corrected and rectified profile in order to obtain the maximum possible volumetric output and pressure consistent with the lowest possible noise level. A special feature is that the pumps are reversible. That is to say that when the rotation of the pumo Is reversed, the flow of liquid takes place in the opposite direction. The pump is, therefore, the first choice for applications involving emptying and re-filling cycles. The spaces between the teeth of the driver and driven gears entrain the pumped liquid and convey it from the suction side to the discharge side. This gentle and simple action ensures that no shock or violent disturbance is transmitted to the media, so that delicate liquids can be handled without altering their physical characteristics. These pumps are widely used for handling hot, cold, low and high viscosity liquids, provided they are free from abrasive and suspended particles and possess slight lubricating properties. The pumps are equipped with two heating or cooling chambers as standard features which make them attractive for use in Process industries. The chambers are rated for 6 Bar internal pressure. 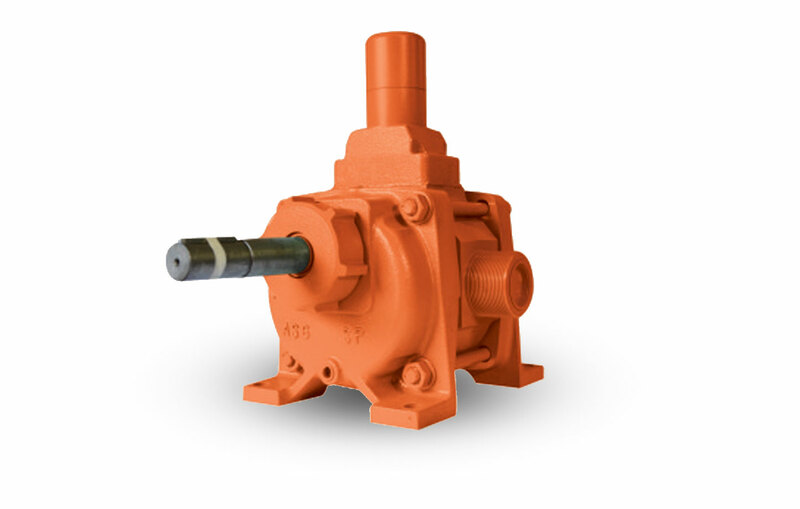 Pumps can be supplied to suit the customers particular requirements, and to A.P.I. specifications.